Article 16 grants every citizen the right "to assemble peacefully and without arms, subject to any reasonable restrictions imposed by law in the interest of public order". According to Article 233, however, when a Proclamation of Emergency is in force, the President may, by Order, declare that the right to move any Court for the enforcement of fundamental rights "shall remain suspended for the period during which the Proclamation is in force, and any such Order may be made in respect of the whole or any part of Pakistan." There is no regional Asian human rights treaty to which Pakistan could become party. With respect to assemblies, Section 128 allows force to be used to disperse an assembly. 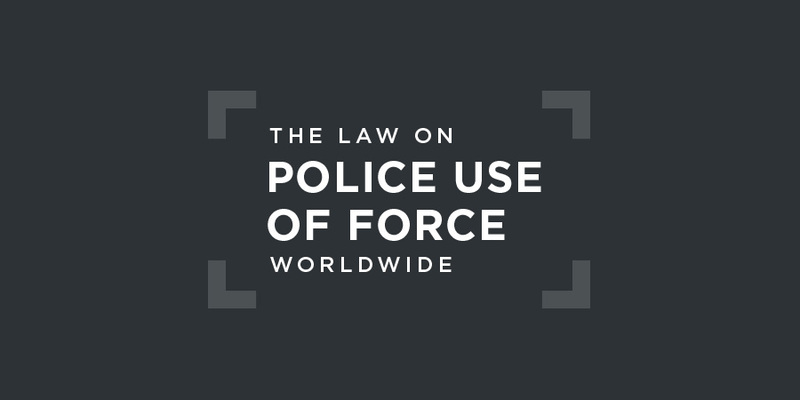 This may extend to the use of firearms "under the specific directions of an officer of the police not below the rank of an Assistant Superintendent or Deputy Superintendent of Police". Such a police officer may also call on the armed forces to disperse the assembly.S. 129, 1898 Code of Criminal Procedure. (1) No punishment of whipping shall be inflicted in installments, or except in the presence of the Superintendent and Medical Officer or Medical Subordinate. The 2002 Police Order establishes a hierarchy of bodies which are supposed to oversee the functioning of police forces in Pakistan. There are four levels in the hierarchy, beginning with the District Public Safety Commission, the Capital City Public Safety Commission, followed by the Provincial Public Safety Commission, and headed by the National Public Safety Commission. These institutions are, though, believed to be barely functional and to exist largely on paper. At national level, the Federal and Provincial Police Complaints Authority, established under the 2002 Police Order, conducts enquiries into serious complaints against the members of federal law enforcement agencies. criminalize enforced disappearance and put an end to the practice of enforced disappearance and secret detention. ... It should also ensure that all allegations of enforced disappearance and extrajudicial killings are promptly and thoroughly investigated; all perpetrators are prosecuted and punished, with penalties commensurate with the gravity of the crimes; families of disappeared persons and their lawyers and witnesses are protected; and a mechanism is put in place for full and prompt reparation for victims and their families. It should further strengthen the authority and the capacity (financial and personnel) of the Commission of Inquiry on Enforced Disappearances so that the latter can function effectively. There is no regional human rights court with jurisdiction to review police use of force in Pakistan. heavy responsibility lies upon the law enforcing agencies, particularly, police to ensure that life and property of the people in terms of Article 9 of the Constitution is protected by them but we are constrained to observe that in our country police is not fulfilling its commitments efficiently, as a result whereof, law & order situation, all over the country, is worsening day-by-day. There could be acceptable reasons, on account of which the forces including the police, with other duties, maintain peace in society and bring the culprits to book without being influenced from anyone because once the accused is involved in an offence, he and his near ones try their best to ensure that he is saved from the clutches of law.